Children's Miracle Network Dance Marathon is a movement benefitting Children’s Miracle Network Hospitals, a non-profit organization that raises funds and awareness for more than 170 pediatric hospitals across North America. Festability: A celebration of Disabilities is a daylong festival that celebrates the St. Louis disability community. This first ever event brought more than 3,000 St. Louis residents together at the Missouri History Museum. We're 2.6 million strong—1.8 million girls and 800,000 adults who believe in the power of every G.I.R.L. (Go-getter, Innovator, Risk-taker, Leader)™ to change the world. Girl Scouting builds girls of courage, confidence, and character, who make the world a better place. 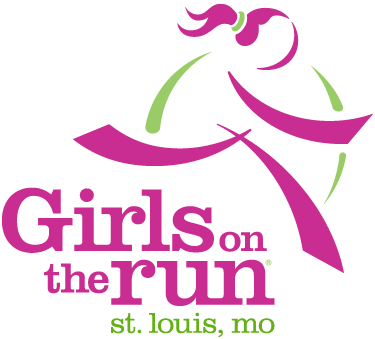 The mission of Girls on the Run St. Louis is to empower girls for a lifetime of healthy living. Our program for girls in the 3rd through 8th grades inspires girls to be joyful, healthy and confident using a fun, experience-based curriculum which creatively integrates running. Where dog owners, dog trainers and canine professionals come together. The IACP provides the support and education to pave your road to success and is the only organization that actively works to defend your right to humanely use all the tools and methods of your profession. The most popular race day in America, Turkey Trot brings together family and friends in a morning of exercise, dance, panckaes and serving the St. Louis community. SSM Health Cardinal Glennon has provided care for children regardless of ability to pay since 1956. WUDM stands for Washington University Dance Marathon. Throughout the year, DM raises money for the Children’s Miracle Network of Greater St. Louis. The fundraising year ends in November with aN 8 hour dance party.